Most of us had parents, grandparents or great-great grandparents who had to overcome numerous obstacles to become citizens of the U.S. Not only were they required to learn English and take a citizenship test, but they were required to renounce allegiance to their country of origin and swear allegiance to their new country before becoming citizens. TODAY, thanks to power grabbing open-border politicians, YOU JUST SNEAK ACROSS THE BORDER, or, if you are wealthy enough, you can purchase a birth tourism package arranged around your due date and take home a little American bundle, or stay in the US since jus soli “birthright citizenship” pretty much guarantees that you will never be deported. These children of illegal immigrants instantly qualify for welfare and other state and local benefits and with the passage of the 1965 Immigration and Nationality Act, the child may sponsor other family members for entry into the United States when they reach the age of twenty-one. While these children are not responsible for their parents decision to break U.S. law, they are being used by Democrats and the Republican powers-that-be as a political tool to push an agenda. And, I don’t know about you, but I have had it with the far-left telling me that the 14th Amendment requires the U.S. to grant citizenship to every child born on American soil. IT IS A LIE ! Echoing the sentiments of Eastman, Professor, Dr. Edward J. Erler, Senior Fellow at the Claremont Institute for the Study of Statesmanship and Political Philosophy, points out that the framers of the 14th Amendment sought to reassure Congress in 1868 that the citizenship provisions did not cover – nor were crafted with the intent to grant – citizenship to children of foreign nationals born in this country. Specifically, native American tribes were not covered under the citizenship clause because they clearly owed allegiance to their tribes and therefore were not subject to the jurisdiction of the U.S. government – a clear indication that jurisdiction is indeed contingent on exclusive allegiance. Birthright Citizenship came about as a footnote By Justice William J. Brennan on his 5-4 opinion in Phyler v. Doe, asserting that “no plausible distinction with respect to the 14th Amendment can be drawn between resident aliens whose entry into the U.S. was lawful and resident aliens whose entry was unlawful.” Brennan’s authority for this statement appeared in an obscure book written in 1912 by Clarence L. Bouve. Justice Brennan’s footnote defies the intent of the authors of the 14th Amendment. American Citizenship Is A Privilege, Not a right. 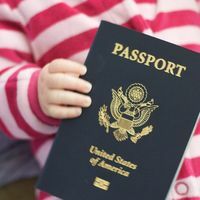 Ending Birthright Citizenship does not punish children – BUT ALLOWING IT CONTINUES THE PRACTICE OF REWARDING LAWBREAKERS. IF THE AMERICAN PEOPLE DON’T SPEAK UP NEXT MONDAY, THEN THEY DESERVE WHAT THEY GET FROM THE OPEN BORDER ORGANIZATIONS? THE AMERICAN TAXPAYER MUST SPEAK OUT AGAINST ANOTHER POTENTIAL PATH TO CITIZENSHIP. CALL YOUR REPRESENTATIVES IN WASHINGTON AND “WARN THEM”, EITHER IN THE SENATE OR HOUSE OR LOSE BIG TIME IN MORE TAXES, SPENDING TO ACCOMMODATE ILLEGAL ALIENS HERE AND THOSE WHO WILL TURN UP LIKE A TARNISHED PENNY. THE MAJORITY OF ILLEGAL ALIENS ARE ALREADY WELL VERSED IN HOW TO BEAT THE ENTITLEMENT SYSTEM. IT SHOULDN’T SURPRISE YOU TO KNOW, THAT MY COMMENTARY WILL NOT BE FOUND IN MANY DIE HARD LIBERAL MEDIA AS THEY DELETE MY FACTS, SO THEIR READERSHIP CANNOT FIND OUT THE REALITY OF THEIR LIES AND RHETORIC? Of course President Obama is going to Nevada to debate Illegal Immigration, as the state is snowed under with illegal aliens. Thousands of them voted in the general election for President, as well as many of the 50 States in the clutches of Liberal assemblies. I just hope the Congress knows they are committing self inflicted Hari-Kari, if they presumed to know what the taxpayers want..? Only the ‘Deadbeats” don’t care as they are not paying a nickel into the federal and state tax pool, as they live like parasites of the people who have jobs, same as the illegal alien parents who have smuggled their offspring here and then apply for welfare for all their 6 kids, free schooling, health care and a lump sum of benefit money. Adds up to a nice tidy sum, which goes towards the underground job their relatives have marshaled them into? For me an Independent voter, that only the TEA PARTY makes sense and can return America to country it once was? Also don’t trust the mainstream press polls, as I am sure that they are fixed or at least engineered for positive results. The only one that can be trusted forthwith is the Rasmussen polls, as far as I am concerned. My personal poll is the thousands of comments in the newspapers—rural and national press—that gives a good indicator of what people are thinking; they are angry and frustrated with Washington issues, especially Immigration. If politicians want to comprehend the thought process of the average American; people believe that the Congress is pandering to the invaders from other countries. The only way that I see to clean up the pandemonium called Immigration enforcement, is a strict and 100 percent mandatory E-Verify? A mandatory E-Verify, perhaps even run by a security company or a charge card company as Visa or Master card and not lax government employees? Spend the money and make it as foolproof as possible and use whatever resources are available. If the U.S. government can make vehicular unmanned probes that can detect a license plate from thousands of feet above us, they can surely build computer software that can detect illegal aliens in jobs meant for Americans and legal residents? E-Verify has expanded its information sources to include State driver’s license records, which strengthens the veracity of the program. Florida and Tennessee initiated this innovation allowing USCIS to collect data using their vehicle agencies for worker discrepancies. It is pastime that the Congress enact Lamar Smith’s “THE LEGAL WORKFORCE BILL” R-Texas) bill to (Phone: 202-225-4236), as proposed will make E-Verify a mandatory law and will no longer be voluntary. America has come to this paramount point, because of years of corruption by both parties. An estimated 23 million Americans are still jobless, in part time work or just gave up looking, while millions of illegal aliens still have jobs. This is very sinister situation and those responsible should be held accountable, but never are? With President Obama’s ultimatum of another path to citizenship, we could be seeing a repeat of the rampant fraud that existed in the 1986 Amnesty. Like a giant magnet millions of more foreign nationals outside the United States are going to try and break into our sovereign nation. Illegal aliens will funnel somewhere along the border regions or by lying to the Embassy staff in foreign countries to obtain a visa as a tourist. Before any new Comprehensive Immigration Reform we must secure our borders, constructing the two fences to the former plan of President Bush, the 2006 Secure Fence Act. Lastly, the second bill that must be passed is Steve Kings (R-Iowa) THE BIRTHRIGHT CITIZENSHIP AMENDMENT (H.R. 140). Contact his main Washington office at (Phone: 202.225.4426) or his subsidiary offices in Iowa. The Birthright Citizenship bill will bring to an end the “Anchor Baby” legal-corruption, meant for the past generation of slaves. By passing this law, we can stop any more DREAMERS’ ACT or sponsorship of family members who arrive here under CHAIN MIGRATION. There is no real statistics on the cost, but smuggling young children or unborn into the U.S. pays off for the illegal alien parents, in hundreds of billions of dollars a year—and over decades TRILLIONS OF TAX DOLLARS, including child tax refunds that should never paid in the first place. The IRS has turned a blind eye to this robbery of more taxpayer’s money. These two laws should be strongly endorsed right now, to eradicate the corruption in high positions. The insistence from lobbyists that our politicians should not pass these laws, as it would cut into the incredible profits of corporations and businesses, large and small. That is why the 1986 Amnesty became a terrible mess, because millions of foreigners poured into our country as soon as President Reagan signed the bill. Least we not forget that Obama’s people passed the Affordable Care Act, which has endless possibilities for illegal aliens. Supposedly foreign nationals cannot apply for ObamaCare, but I know as well as millions of TEA Party members and a large proportion of average Americans that a loophole will materialize or using procured Social Security numbers or feeder identification that in the endless bureaucratic chaos to follow, they will benefit from it, costing the legal population even more billions? Even with millions of Americans jobless the labor visa program still brings into this country over a million legal immigrants a year. A limited number come under the highly skilled category of STEM workers, who are top engineers and other heavily credentialed staff for different high level jobs. But the majority comes sponsored by years of immigration corruption going back decades. Immediate family members who are sponsored eventually become the U.S. taxpayer responsibility in the majority of cases.